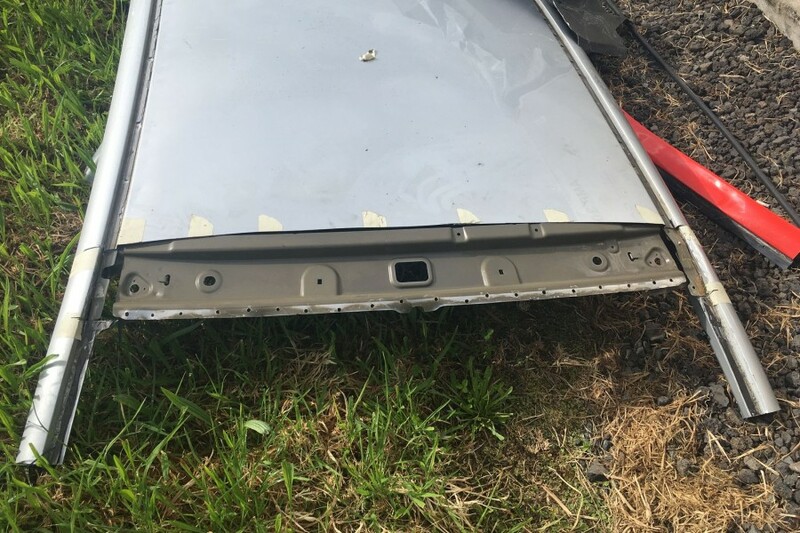 Roof panels from an NZ V8 Touring Car and a road car needed to be combined in order to resurrect Fabian Coulthard’s Ford following its rollover in Race 23. 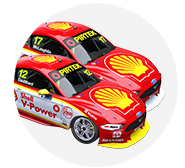 Coulthard will be back on track today after Shell V-Power Racing mechanics worked until 4:30am to repair damage to the roof and rear end of the #12 Falcon. While the rear deformed as intended, with the rear-rail extensions folding back in the impact, the lack of a spare roof panel proved a significant hurdle. A Falcon Supercar is 63mm shorter than the equivalent road car in order to fit the control chassis, making a panel from the road car unsuitable. The team sourced through Jason Bargwanna an ex-Prodrive FG Falcon roof that had most-recently been used on his Richards Team Motorsport NZ V8 Touring Car. 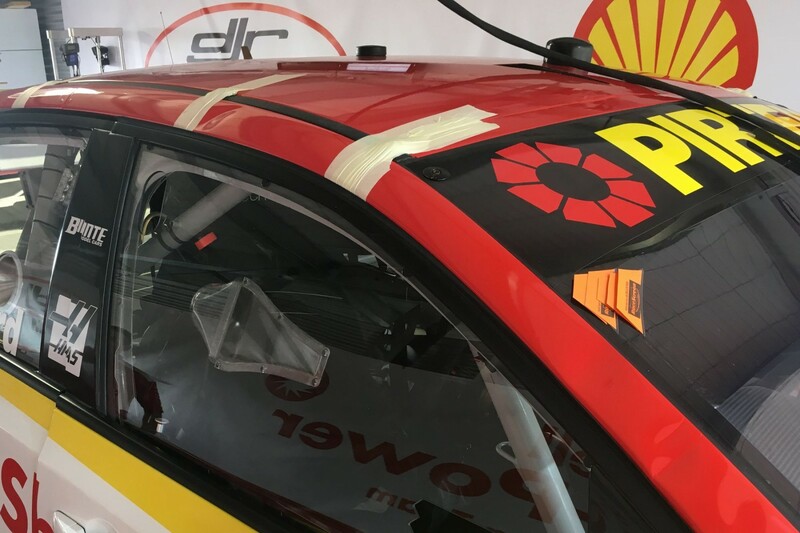 That roof, however, had been shortened further on its leading edge when the Richards team removed it while converting Bargwanna’s car from a Falcon to a Toyota Camry, which is racing as part of the support card this weekend. The Shell V-Power team therefore also needed to source a road car roof, cutting off its front section to combine with the panel from Bargwanna's team. “When you’re in the field and have limited spares you have to do whatever you can to get the car back on track,” Story told Supercars.com. 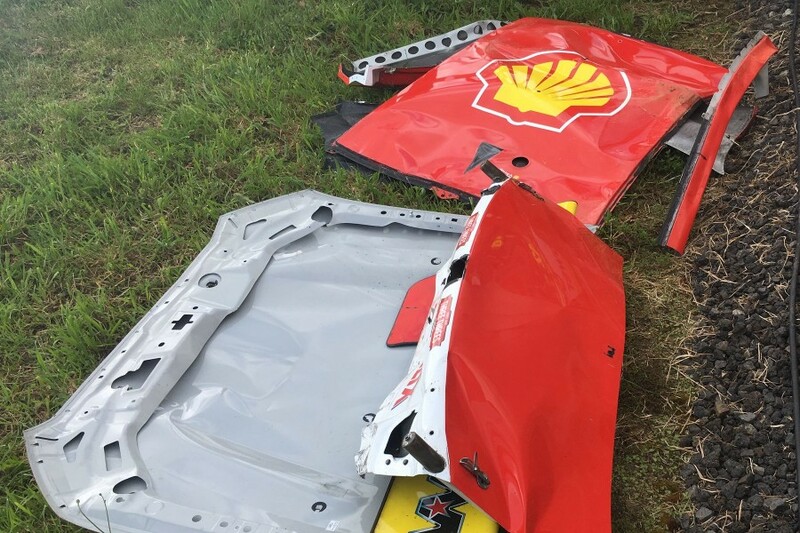 “We’ve got a couple of donor panels that we’ve managed to fit on the car by taking the best bits of both. “The panel that Jason helped us source was a PRA panel that ran on his race car. It was already shortened the 63mm that it needed to run on a Supercar, so it was a good start. “Adding that front lip allows us to mount the windscreen properly. It’s probably not the slipperiest [aerodynamically] but it was all about getting it out there today. Supercars technical officials approved the repair this morning, with the car set to take to the track for qualifying at 12:25pm local time. 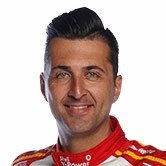 Coulthard dropped from second to third in the championship standings with yesterday’s crash, which came following a touch with David Reynolds at Turn 10. Dropping 120 points to Jamie Whincup, Coulthard is now 137 from the pace with 450 still available across the final three races of the season.